COMPANY PROFILE Sirius XM Holdings Inc is a radio company. It offers commercial-free music, sports and live events, news and comedy, exclusive talk and entertainment, and a range of Latin commercial-free music and sports. 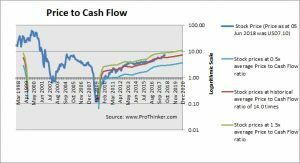 At the price of USD7.10 as at 05 Jun 2018, Sirius Xm Holdings Inc is trading at a Price to Cash Flow Ratio of 17.2 times last 12 months cash flow. 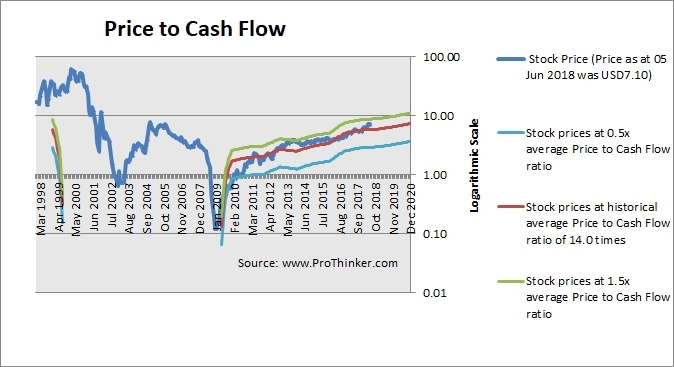 This is a 23.0% premium to its historical average Price to Cash Flow Ratio of 14.0 times.